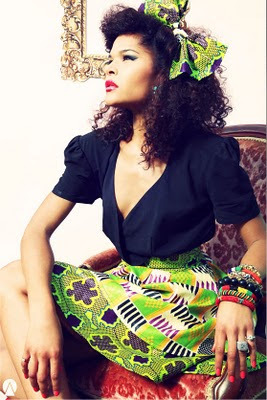 Introducing the Anne-Laure AKA Cookie Ann for the first time on Ciaafrique . I could not wait to post about the latest collection , Discovered her Via twitter posts from so befashionlike .There will be a sptolight on this designer or perhaps an interview but in the meantime enjoy the fabulous work. If you still think that African fashion is a trend then think again because we are going to take over the fashion world in years to come . lovely lovely!! !How do you unearth all these wonderful designers? I'm in love with the green-printed skirt. So gorgeous. I am so with CT (Chic therapy) on that one. Lovely skirts.